Most amateur operators know that "YL" is Hamese for "young lady," meaning a female operator. 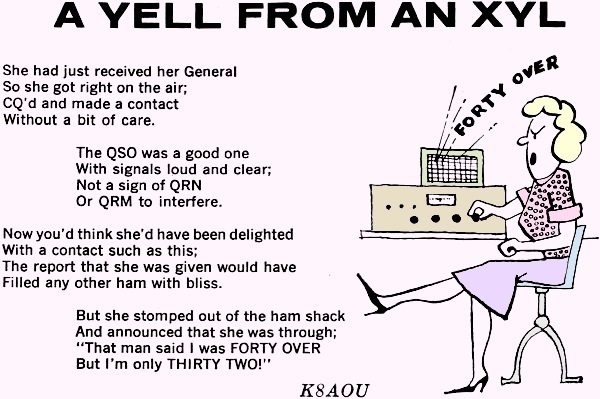 Less well known these days is "XYL" which decades ago, referred to an ex-young lady, implying either an older woman or the wife of a Ham. 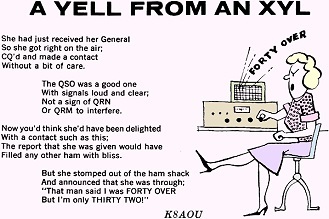 According to online call sign lookup services, Popular Electronics' poet laureate K8AOU was in fact a YL; the call sign was later assigned to an OM ("old man;" i.e., male operator). Filled any other ham with bliss. 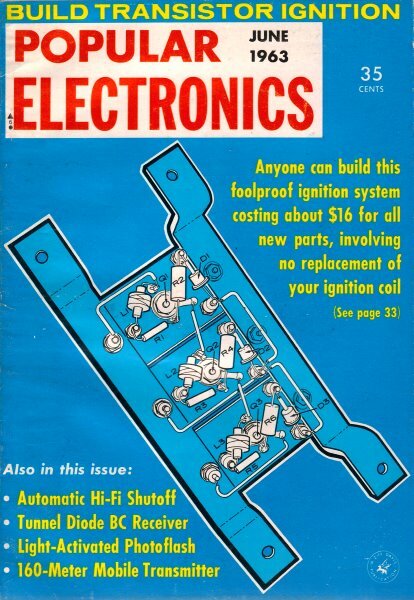 But I'm only THIRTY TWO!"